Tower Defense - Epic Minigame! It's been a while since we last made a post about upcoming updates! Now is the time to let you sneak and have a glimpse on one of our new features! We have implemented minigames which are simply customized events, scripted and tested out! They will be starting upon a click of the mouse by the player whose intention is to attend these games. A brief description: The participators will start off with a certain amount of resources. These resources are used for both participating in the event and buying the rewards after it, so you will have to spend them wisely! Once your resources go 0, you will not be able to use all of the event features! The minigame itself consists of 25 waves of enemies, which are to be defeated by the participator. Each wave grows bigger & stronger, thus you need to decide whether you want to spawn a tower or not, and if yes - what kind of tower. The stronger they are, the more they cost. How do you win resources ? Resources are easily gained, especially if you are a strategist! 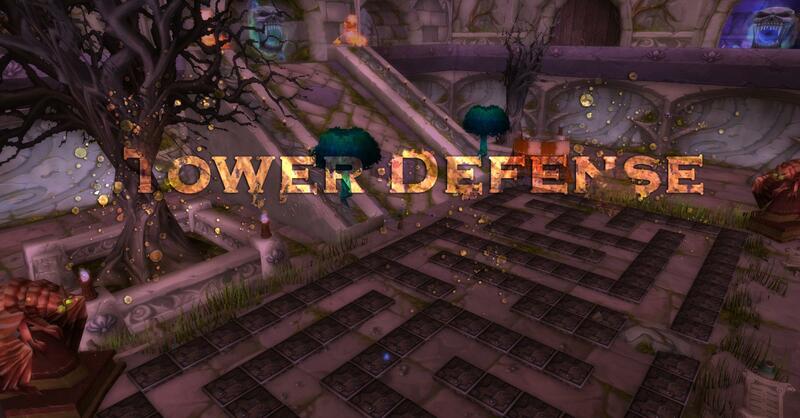 Knowing when to spawn a tower may lead to destroying the strongest minions which drop loads of resources! Rewards are bought with the same resources as the ones you're using to spawn towers in the minigames. If you broke yourself up out of resources, you will not be able to continue further with the minigame & probably wouldn't be able to afford any more of the late-game rewards this event has to offer.